A somewhat unremarkable first practice was summed up in this report earlier by TJ13’s Adam Macdonald. An eye-wateringly early start for those in the UK and a late night for those on the other side of the Atlantic Ocean FP2 got under way with a more murky sky in the Sepang afternoon. The news immediately filtered through of Kamui Kobayashi who would not take any part in the session due to a problem with the electronics. A loss of track time the green team could ill afford after Marussia took the early lead in the World Constructors’ Championship. Romain Grosjean graced the track with his presence for some early running after only a handful of laps earlier in the day. Super Max Chilton managed to beach himself at turn 3, after losing the rear end as he exited the second corner a mere 5 minutes into the session. This proved to be the end of the session for the man from Reigate. Jenson Button was next to put his car through its paces going 1.560 seconds quicker even with yellow flags still waving for the stricken Marussia, immediately followed by Hulkenberg who went quicker with a 1:42.293 lap. Jean-Eric Vergne had looked to be set for the top spot before a spin at turn 15 once again demonstrating the lack of grip out there. Valtteri Bottas then went fastest a half second quicker than the 2009 World Champion. A short lull occurred before the field bolted on the option tyre, which for this weekend is the medium tyre compound. The fresh rubber was instantly quicker with Rosberg going 2 tenths quicker than Felipe Massa, with his teammate failing to go quicker. The German driver was the first and so far only driver to make it into the 1:39s for the weekend. Kimi Raikkonen then followed up on his strong FP1 showing by splitting the Silver Arrows 0.035 short of Rosberg. The Red Bulls continued to be slow through the first and third sectors, but was extremely quick through the tight and twisty second sector. Vettel set the fastest middle sector demonstrating the high downforce of the RB10, even if it is down on power. Any who doubted the Milton Keynes team were soon silenced when Vettel went third with a time 0.61s down on Rosberg. With 40 minutes left the teams switched focus onto the long runs in preparation for Sunday. Once again, the Lotus of Romain Grosjean required more work on it restricting the running for the Frenchman before he made it out, only to park up with a gearbox issue stuck in 2nd gear. With Maldonado not even setting a time in FP2, his mechanics reportedly retreated to the paddock knowing that the chances of Pastor making it out on track were slim and none. I’ll leave the analysis of these runs to Dr James Beck in his F1 Forensics piece later. A late run out for Chilton was short and sweet due to wobbly wheels on his Marussia and Ricciardo took a trip through the gravel at 11, as the rest completed their programmes with no real drama. A more stable Ferrari looks more competitive and perhaps able to challenge the Mercedes’, with the Red Bulls being very kind to their option tyres; unlike anyone else in the field they were able to set a faster flying lap on their second run on the rubber. As they speculated to on the SKYF1 coverage, maybe having the week off in between Melbourne and Sepang was the correct decision. It all appears to shaping up very nicely for another cracker of a Grand Prix weekend. It seems like Mother’s Day could be an F1 dominated affair for many. Formula One boss – Bernie Ecclestone – has been ordered to pay half of his £8.5m in legal fees despite winning a High Court fight with German media company Constantin Median. Mr Justice Newey said the 83 year old had to pay a price for giving “untruthful evidence” and ruled Constantin Medien paid half of his legal bills and he settled the remainder. In February the case had been brought to High Court because Constantin Media argued they had lost out after Ecclestone entered into a “corrupt agreement” with CVC Capital Partners. The German organisation had an interest in the 2006 sale – of a stake in F1 – which belonged to the German bank Bayern LB. This was bought by CVC Capital following orchestrated moves by Ecclestone and were seeking £85m in compensation. Ecclestone confirmed he had paid Mr Gerhard Gribkowsky £10m because of a threatened blackmail attempt but the judge rejected this. Mr Justice Newey found that the payment had been made to facilitate the sale to a pre-chosen buyer. In a follow-up hearing at the High Court, Mr Justice Newey had been asked to decide who should pay the lawyers’ fees. Despite it being an accepted rule that losers paid the winning party’s legal fees, the Judge decided this would not apply in ‘Mr Ecclestone’s case’. Please if you haven’t voted, tell us what you think…. Following his exit from the BBC at the end of last season, one technical analyst doesn’t seem to be missing his former role too much making an appearance in NBCSN’s Paddock Pass, hosted by Will Buxton. I don’t suppose he’ll be making any guest appearances for the beeb this year. Kamui Kobayashi has confirmed he is worried about the safety of this year’s low nose designs. Before the season began, Red Bull designer Adrian Newey expressed concern about the new, low front noses, arguing not only that they are ugly, but they might also be dangerous. The reduced height minimizes the risk of cars being launched into the air, but “I am concerned the opposite may now happen, that cars now (will) submarine effectively,” the Briton had said. It is almost impossible to predict the outcome of this year’s world championship. That is the view of former F1 driver Jean Alesi, who thinks the pecking order in the sport’s all-new turbo V6 era is not as clear as it currently appears. “I think it is easier to win the lottery than say who will win this season,” the popular Frenchman told L’Equipe sports daily. Mercedes is undoubtedly the clear title favourite based on winter testing and the results in Australia. But Alesi insisted: “It will take more than three grands prix to determine which car is the most reliable. Today, the engines are playing a more important role than the chassis, when in previous years it was the opposite. I feel that for the moment Mercedes has the best engine, but it is very difficult to say more than that. For the drivers, I think it will be between Hamilton, Alonso and Raikkonen, but – again – nothing is certain,” Alesi added. The 49-year-old former Ferrari and Sauber driver is sure, however, that 2014 will be an exciting season. The ‘fuel flow’ saga is continuing in Malaysia. The Times newspaper reports that, after Daniel Ricciardo’s disqualification in Melbourne, Red Bull spent over $130,000 on five brand new FIA-mandated Gill sensors for the Sepang race. “We are not taking any chances and we have gone out independently and bought sensors so we know that we will have at least one that works properly,” a team source said. Red Bull has appealed Ricciardo’s exclusion, and last week at Milton Keynes FIA figures had been invited to inspect the sensors the reigning world champions claim were faulty in Australia. But the trouble hasn’t stopped there. Germany’s Auto Motor und Sport reports that, during the first practice session at Sepang, Ricciardo’s RB10 once again struck fuel flow sensor problems. And correspondent Michael Schmidt said the similarly Renault-powered sister team Toro Rosso also had problems getting a signal from the sensors. A new sensor – costing $26,000 at full calibration – was fitted to Ricciardo’s car for second practice. “So much for saving money,” Red Bull’s Dr Helmut Marko bluntly observed. The predicted topsy turvey nature of F1’s pecking order during the first half of the season appears to be coming to fruition. 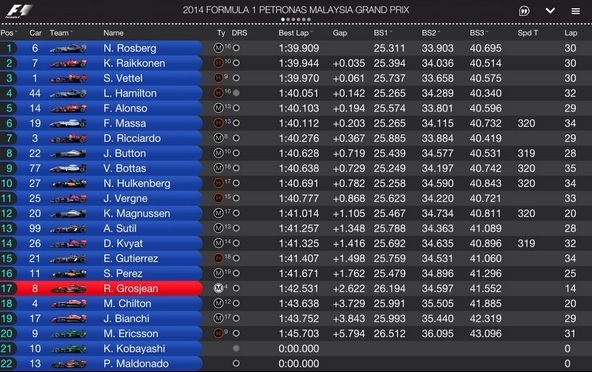 McLaren who had an excellent outing in Melbourne finishing 2nd and 3rd maybe struggling in Sepang. McLaren have been busy redesigning the MP4-29 ‘nose-box’ and front wing which has a more box like appearance, attempting to increase airflow under the bottom of the car. But while encouraged by the early signs from the upgrade, Button confessed that the MP4-29, amid sweltering Friday conditions at Sepang, had simply lacked pace in the high-speed corners after he finished Practice Two down in eighth position. With track temperatures topping 50 degrees in FP2, Jenson Button admitted, “We’re finding it tough out there today – especially in the heat. “We’re not as strong as we’d like to be in high-speed corners – and, when you have downforce issues, they’re further amplified by the hot weather. So our long runs were tricky – in terms of both tyre degradation and outright pace. We’re now going through the data, but the upgrades we brought here seem to be giving us something – so that’s encouraging – but there’s a lot of work still to be done. By contrast, the Red Bull was lightning through sector 2’s high speed curves, though down the straights was up to a second off the pace of the fastest cars through the speed gun. Ominously, the tyre wear on the world champions car appears to be significantly less than that on the Mercedes runners. So it could be a 4-5 stop race for Mercedes and McLaren, and just 3 for Red Bull – now that might put the cat amongst the pigeons. We heard very little in Australia about the tyres and degradation, as the focus was upon how many cars would finish the race. With reliability less problematic than expected – except for Renault teams – the focus of the team’s analysis is shifting more towards the tyres and how they perform. One of the most positive results of the new regulations was to see the Ferrari out on track in FP1 within a minute of the light going green at the end of the pit lane. The extra set of the harder tyre issued this year for this session is tempting the bigger teams to get on with proceedings rather than sit in the garage and wait for the first 30 minutes to pass. Sepang has asphalt which is very abrasive and the event is mostly run with extremely high track temperatures which cause thermal degradation, so inevitably tyres would come to the fore in the attentions of the teams. Pirelli’s Paul Hembery commented, “As was the case in Australia we’ve seen fewer marbles out on track, but what was surprising was the amount of pick-up that we found on the circuit during FP1, with plenty of non-F1 rubber already laid down on the track”. The completely revise P-Zero Orange tyre, took to the track in anger for the first time this season, and there appears to be a performance gap of around 1 to 1.2 seconds between it and the medium tyre. A snap shot of the pace the teams were capable of delivering over the long runs gives us some insight into how they may perform in the race, though Dr. James Beck analysis will dig into this further. Highest number of laps on the medium tyre was 20 and on the hard tyre 21. Kimi Raikkonen was a lot more positive today, and appeared to have the better outright pace of the 2 Ferrari’s, though Alonso’s longer runs were marginally quicker. The FIA and Charlie Whiting have made an almost unprecedented move and provided an instructional briefing for the media on the issue of fuel flow sensors. Clearly Red Bull’s attempt to rubbish these devices in the media and possibly see the fuel flow rate restrictions abandoned is something the FIA are refusing to contemplate. 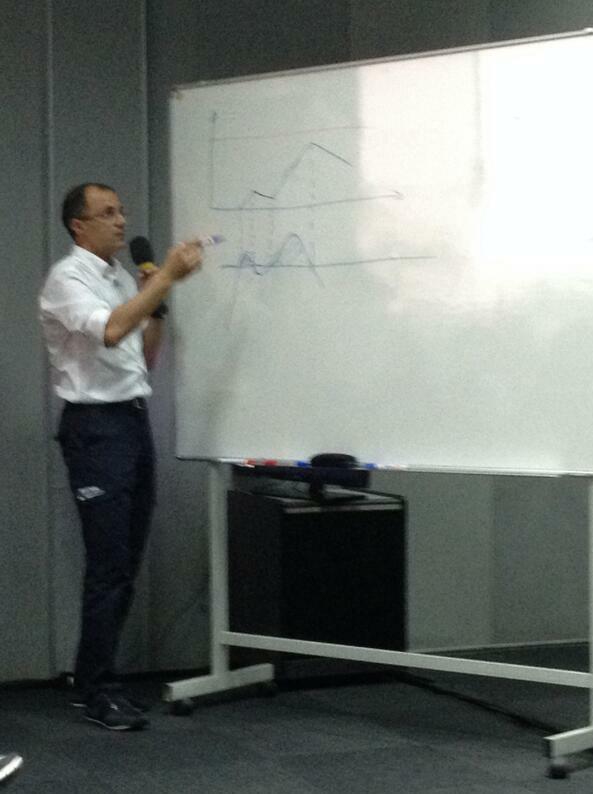 Fabrice Lom of the FIA took to the stage with whiteboard and pen in hand, to explain the reason for fuel flow restrictions and the nature of the difficulty they have been experiencing with the sensors. Lom is the FIA’s specialist on powertrains and interestingly an ex-Renault employee. An experienced paddock commentator found it necessary to observe that Lom’s parting from his former employer had not been sweetness and light. The FIA have claimed the devices provided by Gill sensors will last for 100 hours without requiring further calibration, and they are certain that the readings are consistent until the part fails. Disappointingly, one female BBC presenter attending the briefing and whose gravitas is questionable anyway, tweeted, “Wow, #F1 is confusing this season but the FIA have done their best to clarify what the rules are and now sensors work.My head’s reeling from the technical jargon & white-board, a bit like being back at school. Some there having a sensor-humour failure! #F1”. Of course the gossip in the paddock is interesting, and TJ13 reports more than its fair share, yet we expect those employed in the media specialising in F1 to at least attempt to promote the sport in a positive manner, rather than infer it is now a spectacle for boffins and scientists only. The reason the measurement and restriction of the fuel flow is critical to the FIA’s new engine regulations, is that it prevents the development of the new power trains heading off in the realms of periods of excessive fuel burning, and the even more irrelevant mapping of the engines as we have seen in recent years. Though today Horner reveals today that he believes the fuel flow restriction should be dropped altogether. TJ13 observed last week, there may be more to the appeal than just getting Ricciardo’s 2nd place reinstated, which Horner has finally admitted. It appears Renault do have a vested interest in being able to consume fuel at a higher rate than currently legislated for because when Remi Taffin was questioned about engine noise, his response suggested it could be improved with more revs and higher fuel flows – a tad obvious maybe? We heard a lot from Red Bull about safety with regard to the Pirelli 2013 tyres mark I, and the FIA are taking a similar position on fuel flow. Lom explains, “Engineers are engineers, so if you have 100kg for the race, you try to be the fastest for the race. If you have no fuel flow limit, the fastest thing is to use a huge boost at the beginning of the straight and then lift off. Red Bull are claiming that there is nothing in F1’s regulations that demands the fuel-flow limit of 100kg per hour is measured by the FIA’s homologated fuel-flow sensor. There was a technical directive issued on March 1 which states all measurements will be taken by the Gill sensor, and Horner’s view is that this document contains only the opinion of Whiting and holds no regulatory value. Yet for now, this appears to be an issue on which Red Bull are choosing to be highly vocal, whilst others are saying little publicly. It has been interesting though to see the more engaged members of the paddock media begin to understand the reasons behind the fuel flow regulations and accept it is crucial for the FIA to deliver engine development focused around the electric aspects of the powertrain. Sebastian Vettel’s crass comments that ‘batteries belong in mobile phones’ appear most ill advised and set him at odds against a force which is far greater than he. And when you consider that the total investment in the V6 turbo’s is in excess of $750m. There is no turning back, whatever Marko or Vettel have to say. Lom makes it clear the FIA will stand by their responsibility to enforce fuel flow. “Our role is fair regulation. It seeks to create and enforce rules which can apply fairly to all 11 teams, not individual exceptions, they feel that they have a strong case and the other teams hope that the FIA prevails otherwise rule enforcement could get like the Wild West”. As has been proven with the issue of engine noise, it seems as though those critical of the new Formula 1 and the regulations on fuel flow rates and sensors are out of step with the fans opinions. One of them tweeted, “In LMP1 there is 2wd & 4wd, energy storage by flywheel, capacitor and battery, V4, V6 and V8 motors, turbos and atmos. F1, sort yourself out”. Why is there a fuel flow limit? Because with a turbo engine you have to limit the power otherwise you would have drivers using over 1,000hp at times, while others were fuel saving, the speed differential would be enormous and dangerous. Additionally the message from the new hybrid F1 rules is efficiency, 35% more performance from a drop of fuel than the old V8s. It’s not about monster power for short bursts. THe FIA takes steps to ensure that the sensors are accurate and the same for all teams. Team X gives its sensors and a sample of it’s fuel to the FIA and they contract a company called Calibra to calibrate the sensors to the fuel, by placing them in series and checking each against a known reference sensor. This is carried out in various conditions and at five different temperatures. During the race weekend the teams tell the FIA which sensor they are using. Each sensor is bought and owned by the team, at a cost of £4,500 each and is regulated by the FIA. Where does the fuel flow sensor sit? Inside the fuel cell, in the low pressure area. 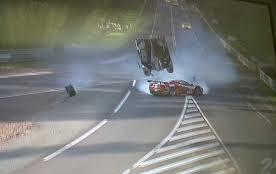 What is the limit the FIA will accept for a car going over the 100kg/hour limit before they act against the team? What happens if a car hits that limit? If the FIA feels that a sensor is drifting in its reading (which it contends is very obvious) it reverts to the back up, which has been planned for and the back up has been calibrated against and official sensor. They cannot accept an alternative system for measurement because it has not been calibrated against a known sensor. Article 5.10 of the technical regulations says that the fuel can only be measured by a homologated sensor and there is only one sensor, which is made by Gill Sensors. How long do sensors last? They need to be recalibrated after 100 hours and their life is 400 hours. It should be theoretically possible to do the F1 season on two sensors. How did he do that? I’m pulling out my hair to get a decent (i.e. HD) Sky feed here, and pretty much fail at it. I did manage to use ‘First Row Sports’ to get a feed, but it’s as pixelated and colour-blind as hell. I also looked into hooking a VPN with a London-based IP, but it seems that the on-line Sky F1 coverage is behind a paywall, too. How do you (or others) manage to get half-decent images of Qualification and Race? Ours wasn’t HD – our internet speeds in rural Australia aren’t fast enough for that…but it was better than “watching” it with just twitter! Wiziwig.tv is the one with the most options and feeds. Thanks. squirrelstreams.com is where you want to be. Generally always running in time for all of the pre-session stuff, though occasonally a touch late for practice sessions. My word, that must be the quote of the year, time to get T-shirts printed! 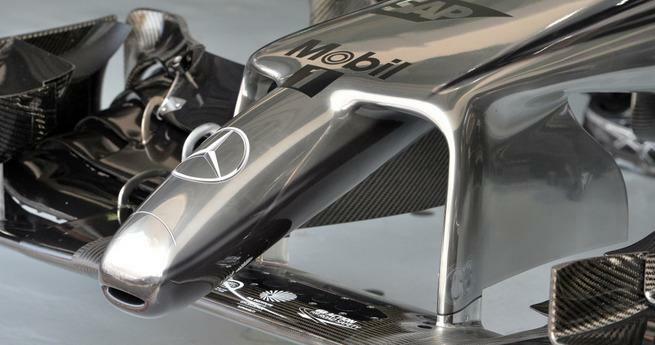 An earlier article by AMuS mentioned that the sensors are extremely vulnerable to vibrations and fuel flow fluctuation. Wasn’t vibration the main problem of the Renault PU? To me it sounds like the Renault PU just rattles them things to death. The article mentioned both Lotus and Ferrari making adjustments, one to the FFM and the other to the area where it was mounted in order to get better readings. Pretty sure the teams had to buy their own anyway, interesting to see CH put it like they are going above and beyond to purchase their own. When daddy-Bull embarks on a propaganda campaign, then baby-Bull will necessarily hop on the train (and now conveniently they share the engines). I wouldn’t put too much weight on any data points coming from Toro Rosso, as chances are they’re simply following scripts written by their parent company. If complaints came from Lotus or Caterham, then that would be more interesting. Hi, I have been wondering if any teammates are running with different gear ratios this year. Eg Lewis you get to win all the low speed tracks, Nico you get the high speed and Merc get the constructors with no team mate fighting. Its an interesting point, especially given there may be differences in technique between drivers too. They may hedge their bets, or it could be that its better, given reliability concerns to put both drivers on the same and try to work out an optimum average ratio set. I also wondered what the teams strategy with regards to their ‘joker’ card they are allowed to play with changing the rations once will be, I mean they are bound to have worked out that there will be an optimum time to play it and switch, but I can’t see where that might be? Everytime I think about it I change my mind, anyone else have any thoughts? Abu Dhabi for the best shot at double points doesn’t seem like a terrible idea. The rule governing the nomination of gear ratios specifically applies to the “competitor”. The competitor is the team, not the driver. So the gear ratios must be the same for both cars in each team. On the one hand if they are working they are supposed to be acurate to a quarter of a percent, yet a warning is only issued when the readings show an execeedence of more than 1% for more than 10 seconds? That is quite a big margin In a sport of milimiters and miliseconds for me. Second, we heard that RB has demonstrated that their fuel flow rate in Australia did in fact stay within the allowed limits, but the FIA is still of the opinion that the sensor on Riccicardos car was working within the margins. I’ve never read anywhere by how much RB allegedly exceeded the allowed limit but per the 0,25% acuracy and 1% “allowance” both statements can’t be true. Is it true that these fuel flow sensors are also the only available method for measuring the total amount of fuel per race? – A car competed in the Aus GP without a function fuel flow sensor (non-RBR), but the FIA apparently declined to comment. – Merc purchased considerably larger numbers of fuel flow meters than other teams in order to cherry pick ‘the most favourable ones’ (not such a surprise given they’ve thrown more $ at 2014 than anyone else apparently). – Sauber have had issues with two fuel sensors this morning. – Ferrari have fuel sensor issues, but are happy for these to remain in order to gain an advantage over Renault runners. – Renault engined runners are struggling with the fuel flow sensors more than others, teams apparently mildly modify the devices to fit and the mods to make it fit a Renault engined car make it more unreliable than the mods required to make it fit in a Merc or Ferrari PU. Whilst the above are simply rumours I believe that there is no smoke without fire, and that’s certainly my view of F1 ! Part of me wonders if another team has found a way to garner a mild advantage out of these sensors and is trying to shut down any bad talk about them… hmm. I was wondering about the flow sensor installations today. Industrial sensors come with instructions that they must have X diameters of straight pipe run before the unit itself, presumably these Gill things are the similar. The straight pipe gives any turbulence in the fluid time to dissipate before passing through the meter itself. I’m pretty sure the meters work by measuring the velocity of some percentage of the fluid flow and then calculating the volumetric flow based on the pipe cross section and some assumptions about the velocity profile across the pipe. You can bet your bottom dollar that some teams have … err … tested the response of the meters to whatever upstream perturbations they can accidentally / discretely generate. They said on the BBC that they cost $4,500 each …. So what did the other $107,500 go on ? I think they also spent money on getting them calibrated as well. Well that’s what I was thinking. FIA says they cost £4500 each and GMM says they are $26000 calibrated. I’m inclined to think that GMM has been a little lax in their fact checking (it wouldn’t be the first time), otherwise that’s one hell of a calibration fee! Disappointing choice of team principals for the press conference today, I thought… Why wasn’t Horner (and Taffin) there to get grilled? I know TJ13 has long lambasted the drivers’ PCs, but usually the TPs goes better.